I’m starting to become obsessed with cacti…. 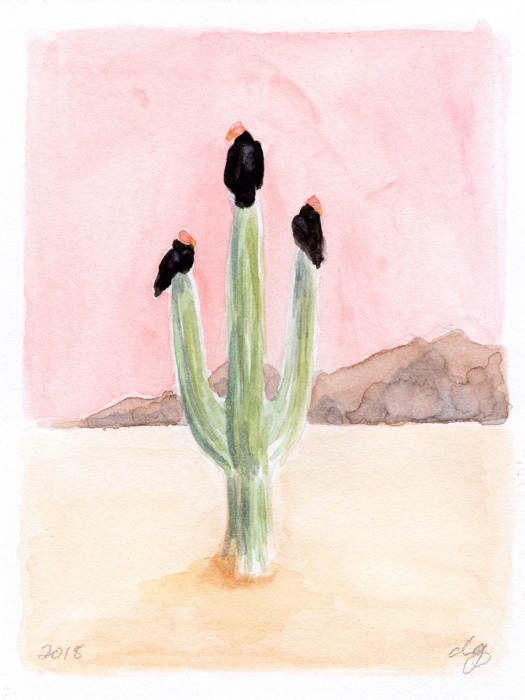 A delicate cactus made with watercolor on fine art paper. This painting is part of my 31-day painting challenge! I turned 31 on Dec 31st, and to celebrate I’m creating 31 paintings in 31 days! I did the same challenge last year, creating 30 paintings. It was a lot of fun and hard work, but really worth the strides I made in my technique and style! If you’d like to follow along you can see each painting I make on Facebook or Instagram, or in my shop, here! This original watercolor is on high-quality watercolor paper and has an archival varnish. All originals come with a certificate of authenticity to increase the value of the piece and provide useful conservation information. Please display out of direct sunlight and away from moisture.